And then it was over. Families across the nation are wrapping up their summer fun. It’s Labor Day and we all know that means an unofficial end to the carefree days on the beach and a focus on the colder months, back to school and, of course, the holidays. Many of us are also rethinking those last minute decisions that resulted in credit card charges that we’re now questioning. And still others are thinking it’s high time to consider a cash back credit card. If that’s you, we’ve reviewed the latest credit card offers in search of the best of the best when it comes to cash back card offers. And rest assured, all of the major credit card issuers continue to offer reward cards that include generous cash back sign-up bonuses for new applicants. The demand for good to excellent credit customers is so high right now that banks and credit card networks are offering some of the most lucrative credit card temptations in years. 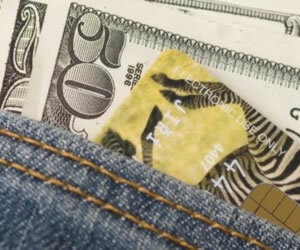 Here is a list of list the best cash back cards, along with the latest offers they have. Many of these cards give you a response within 60 seconds when you apply online. Here’s what we found. For a limited time, this Discover cash back card offers a $0 balance transfer fee as well as a 0% intro APR for both purchases and balance transfers for an entire year. After that, you’ll enjoy a competitive rate between 10.99% and 19.99% depending on your credit score. The 5% cash back bonuses in rotating categories such as gas, restaurants and department stores make for big savings every time you shop. Don’t forget the really impressive savings via the online Discover shops – this is where you can earn up to 20% cash back. Seems like every year, we report that Discover is ranked #1 in customer loyalty and it maintains its hold at the top for the past 15 years. The 24/7 access to a U.S.-based account manager gives you peace of mind and the friendly customer service makes owning this credit card a pleasure. You’ll need a strong credit rating to qualify with no bankruptcies, foreclosures, garnishments or other past due accounts. Another customer favorite, this credit card offers $100 in cash back after you’ve opened your account and spend $1,000 in the first three months of card membership. Its sister card, the Blue Cash Preferred card offers $150 in cash back, also after $1,000 of spending in the first three months of a new account opening. The Blue Cash Everyday card has no annual fee; though the Preferred version does have a $75 annual fee. This is truly a unique rewards credit card that gives you 50% bonus cash back on the cash back you earn every year (yes – that’s cash back on your cash back). If you combine this 50% bonus cash back with the 1% cash back you earn on all your purchases with this card, then the total cash back you earn averages to 1.5% of all your purchases. Earn unlimited cash back that never expires. Enjoy 0% introductory APR on both purchases and balance transfers until August 2013 and there’s even a $100 cash backs signing bonus when you spend $500 during the first ninety days. No annual fees taint this offer, either. There are even a few business credit cards that are designed for businesses of all sizes. This Visa credit card allows business owners to get what they need to keep things running the way a business should. Cash rewards are part of its design and you can apply online with an instant approval. Every purchase entitles the cardholder to at least 1% cash back with purchases for gas, certain cell carriers and office supply stores earning even more. Further, bonus cash rewards are also given on the anniversary of every year. The rewards have no limits, they will never expire and you can continue to acquire as many points as you’d like. Keep in mind the minimum redemption level is $25. You also have three options for choosing your rewards preferences – rewards can be deposited into a US-based bank account, added to the statement as a credit or a rewards card can be requested, which works similar to a prepaid Visa. The best fraud protection is part of this credit card’s built in feature. Use the credit card around the world with no worries about being held accountable if your card is lost or stolen. It’s monitored around the clock for suspicious activity and if your security is compromised, a new card will be sent out immediately. Finally, we take a look at a fine cash back credit card designed for college students. The Citi Dividend Platinum Select card doesn’t require a cosigner, and it allows students to earn 5% cash back in book stores, gas states, utilities and a host of other companies and services. Not only that, but the rotating categories means your college student can earn at least 2% – and often as high as 5% cash back on those special deals. Plus, Citi has designed a site especially for college students that provides educational tools, financial tools and financial advice from some of the nation’s most well respected credit counselors and economic advisers. If your young adult loses his card, he will have no liability for lost or stolen cards or any authorized purchases. There’s no annual fee either. Ever notice how cash back card offers are different from other rewards programs? Some cash back credit cards may give you up to 5% rebates when you spend on certain categories of purchases each quarter of the year, whereas others may give you a flat cash rebate throughout the year. You might want to consider getting more than one cash back card so that you can get discounts on different types of purchases, and benefit from each card’s unique privileges. Also, for some cards, the cash back you earn may expire after a certain period of time, or if you don’t spend on your card for a period of time. Some cards may also have a cap on the amount of cash back you can earn each year. If you are a big spender, you should go for cards that don’t have any maximum limit on how much you can accumulate, such as the US Bank FlexPerks. 2 Years In: How’s the CARD Act Faring?